DOVER, Del. – On July 6, 1969, Richard Petty took the first checkered flag at a new, high-banked racetrack in Dover, Del. Piloting his No. 43 Ford, Petty started the race in the third position and went on to lead 150 of 300 laps en route to a dominating win in the inaugural Mason-Dixon 300. 40 years, and seven Dover International Speedway wins later, Petty will be honored with a marquee plaque on the Monster Monument at Victory Plaza, presented by AAA, on Saturday, Sept. 20, 2008 at Dover International Speedway. The 46-foot monument was unveiled in May 2008 and created a new focal point for race fans visiting the concrete, one-mile oval. Petty joins Bobby Allison as the only drivers honored with a marquee plaque on the monument, located outside of Turn 4 at the Speedway. The special four-foot high granite plaque will be mounted on the monument’s base and will include Petty’s career and Dover highlights and an engraved image of the driver, in a section reserved for retired drivers who’ve established their legacy at the Monster Mile. A dedication ceremony for Petty is scheduled to begin at 1p.m. near the monument, and fans are invited to watch a special question-and-answer session hosted by NASCAR on Fox’s Mike Joy and Dover President & CEO Denis McGlynn. 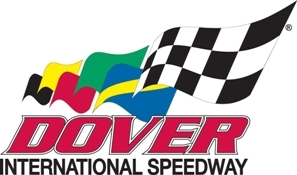 The ceremony is part of several attractions planned to celebrate Dover's 40th anniversary season during the Sept. 19-21, 2008 race weekend. Free fan additions include strolling entertainment, live music, the Aqua String Mummers band, free autograph sessions and more. Petty will also participate in a free autograph session for race ticket holders following the ceremony at 2 p.m. near the monument. Autographs will be available on a first-come, first-served basis. The undisputed king of stock-car racing, with 200 career NASCAR Sprint Cup Series wins, notched his 199th win of his career at Dover on May 20, 1984. This achievement set him up for career win No. 200 at Daytona just weeks later. Petty won seven NASCAR Sprint Cup Series championships during his 35-year career spanning from 1958 to 1992 and ranks first in a variety of NASCAR records including: all-time wins (200), races started (1,184), top-five finishes (555), top-10 finishes (712), pole positions (126), laps completed (307,836), laps led (52,194), races led (599) and consecutive races won (10). On Sept. 20 at Dover, Petty will have his legacy enshrined on the Monster Monument at Victory Plaza, presented by AAA – another supreme accomplishment by a member of NASCAR royalty. “The Chase for the NASCAR Sprint Cup” returns to the Monster Mile Sept. 19 – 21, 2008. For more information, or to purchase tickets, call 800-441-RACE or visit DoverSpeedway.com.